My dad always worried about money. Not because he had any ambitions to get filthy rich, live in a mansion or have luxury holidays. But he always went above and beyond so we can have a comfortable life and not miss out on anything. He had two jobs since I remember. He worked hard to provide for his sisters and his mum after his dad left them when he was just a teenager. Then he fell in love with my mum and although they both worked for years he always had two jobs. For us. We never lived in a fancy house or drove expensive cars but we never felt poor or underprivileged. When we sometimes struggled my dad felt bad because we ‘don’t have enough money’, ‘we are poor’ and I always used to say ‘we are not poor dad. Our fridge is always full, we have nice clothes and shoes, books, a car, a phone, a TV’. I’ll never forget the smile on his face every time. He felt our love and gratefulness. We always had each other, we always had love and we always appreciated what we had. Today I put together my care package for the homeless. These people know the real meaning of poverty, they go through it day in day out. I can’t even comprehend how incredibly hard must be to live on the street, in the freezing cold, with no food or shelter. I hope nobody had to experience it. But these people do. And I might do one day. It’s not that uncommon for someone to lose their job, their only source of income with no savings or anyone to support them. I can end up on the street, you can too. 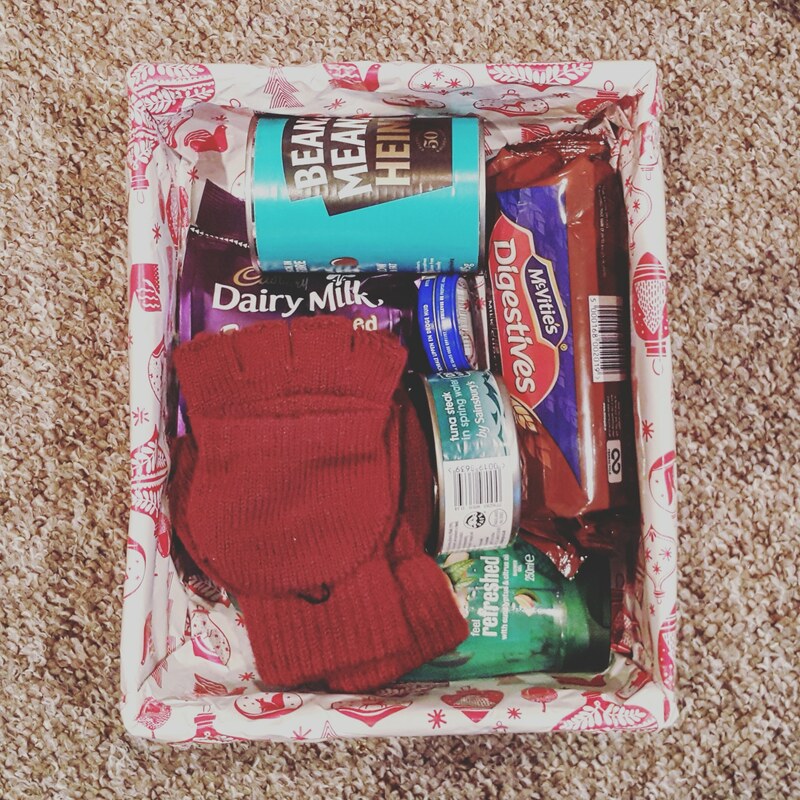 If you can afford to spend a fiver or a tenner and buy some essentials, or donate some of what you have at home, put them in a box and bring them to A101 by tomorrow afternoon, or contact me or the lovely Molly who is collecting the packages to drop them to one of the food banks across Southampton. You can even drop your package to one of the local Sainsbury’s. Details here. Of course we shouldn’t just help at Christmas. But since everyone is more generous at Christmas, why not grab the opportunity? Previous Entry Blogmas day 11- Decision day. Next Entry Blogmas Day 13- Are we there yet?